John Hunter Nemechek has brought more than just a famous last name with him as he’s burst onto the NASCAR scene. He’s also brought a ton of talent. The son of former NASCAR star Joe Nemechek, John Hunter began racing part-time in the NASCAR Gander Outdoors Truck Series in 2013 at the age of 16. Two years later, he scored his breakthrough victory at Chicagoland Speedway before going on to take Most Popular Driver accolades that same season. He earned NGOTS victories in 2016 at Atlanta and Canadian Tire Motorsport Park and was part of the inaugural NGOTS Playoffs. The following season, he scored multiple victories again and advanced to the Round of 6 in the Playoffs. 2018 brought more success and more victories. He made his NASCAR Xfinity Series debut at Atlanta Motor Speedway and eventually went on to win his first NXS race with Chip Ganassi Racing at Kansas in October. 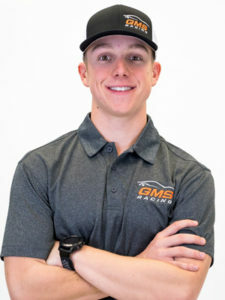 He was signed to a full-time ride with GMS Racing in late 2018 and competes currently in the Xfinity Series in the No. 23 Chevrolet Camaro SS.